The “incident” in question involved Alexander McNab, a senior at Barnard’s sister school, Columbia University. Late Thursday night, he was in search of free sustenance for a late-night study session. 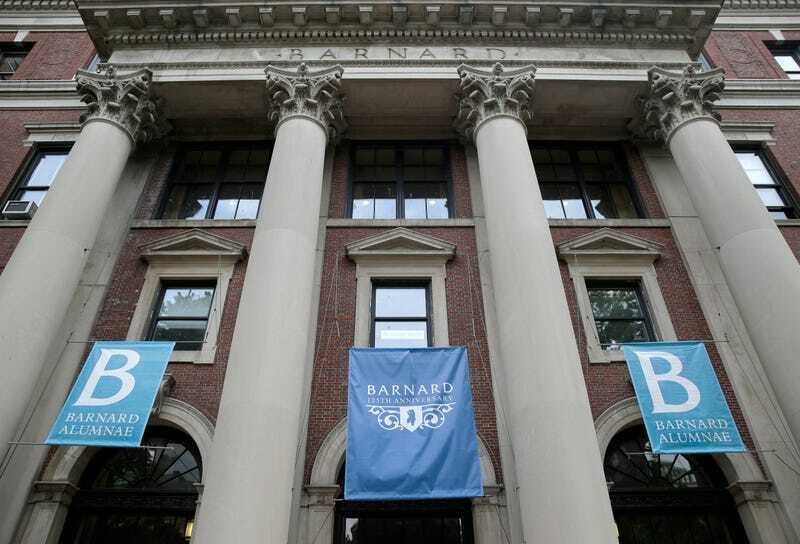 A university social media post indicated there were leftovers at Barnard Library, which Columbia students are allowed to access, and McNab decided to make his way there, McNab told the Post. … encounters he said were a result of racial profiling. They once demanded to see his ID as he was leaving a two-hour dance practice. Another time, he left dance practice to run — barefoot — to the bathroom, and he was stopped again because the officers assumed he was homeless.